The Indian King Tavern will once again take people back in time to when people dressed in colonial attire, drank beer and got together at their local tavern. 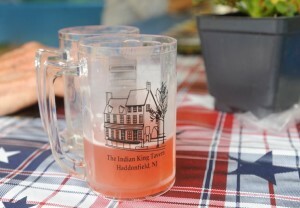 The tavern will offer beer, colonial fare and fun from Haddonfield’s own historical museum. 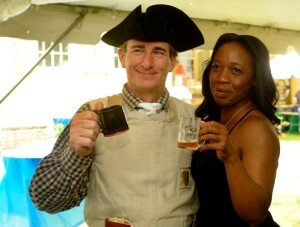 The Friends of the Indian King Tavern Museum will host its fifth annual colonial beer-tasting event on Saturday, Sept. 17. The event, called “Tankard at the Tavern,” is one of the only days patrons can legally purchase a beer in the dry town’s only tavern, all for a good cause. “It is our sole fundraiser of the year, and all of the fundraising goes into the Indian King Tavern Museum,” said Phillip Zoebisch, also a member of the Friends of the Indian King Tavern Museum. Tankard at the Tavern began five years ago when the Friends of the Indian King Tavern was looking for a way to raise awareness of the museum as well as to raise money for renovations to the landmark and its educational programs. The idea to use the museum for its original purpose, as a tavern, seemed like the perfect idea to spread education and merriment. The Friends were given permission to host this beer-tasting fundraiser by obtaining a special use permit from the state. “We couldn’t think of a more fun way to raise money. 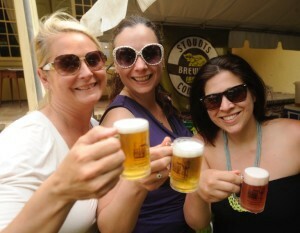 Two and a half hours of sampling beer, great food and (experiencing) the colonial times,” Zoebisch said. Previously, the Tankard at the Tavern was held in the spring. This year, it was decided to try something new as it was hard to get breweries together at the time, and some big events are happening in Haddonfield that day, including the Antique Car Show. At the Tankard at the Tavern, music and re-enactors will sweep you away to another time. The tavern’s original innkeeper Hugh Creighton, played by a reenactor, will entertain and host guests, and volunteers will be dressed in colonial attire. “I think it is a great time for new people to experience (the Indian King Tavern) … and have people experience history with a hands-on activity,” Joseph Murphy of the Friends of the Indian King Tavern Museum said. Local breweries Double Nickel of Pennsauken and Devil’s Creek of Collingswood will be highlighting their beer, while the British Chip Shop will provide traditional British fare. Pour House will also have oysters for $1 apiece. “The local breweries more closely represent the beers made at that time since they are hand crafted … plus we like the idea of helping out local breweries,” Zoebisch said. The event will be held in the picturesque backyard of the tavern under tents, so it’s an all-weather event. Those attending must be 21 years or older with ID. Tickets are $60 for a session, one from 4 p.m. to 6:30 p.m. and the other from 7 p.m. to 9:30 p.m. Seating is limited to 120 guests. Tickets are available online at www.indiankingfriends.org or at the law office of Joe Murphy, 30 Tanner St. in Haddonfield, (856) 429–9154. “If you’re interested in history, if you’re interested in beer, and if you’re interested in Haddonfield, it is a great event,” Thomas said. All money raised will go to the Indian King Tavern Museum. According to Zoebisch, the tavern receives grants from the state. However, they do not cover all costs, so it relies on fundraisers and donations to help keep the Indian King Tavern Museum running. The Indian King Tavern Museum is located at 233 Kings Highway East. For more information or to donate to the museum, call (856) 429–6792 or visit www.indiankingfriends.org.